This is the powerful description given by Diana Li and Erina C Alejo — fellows of the Asian American Women Artists Association — for “Appendix”, an exhibit they are curating at the Pacific Heritage Museum in San Francisco. 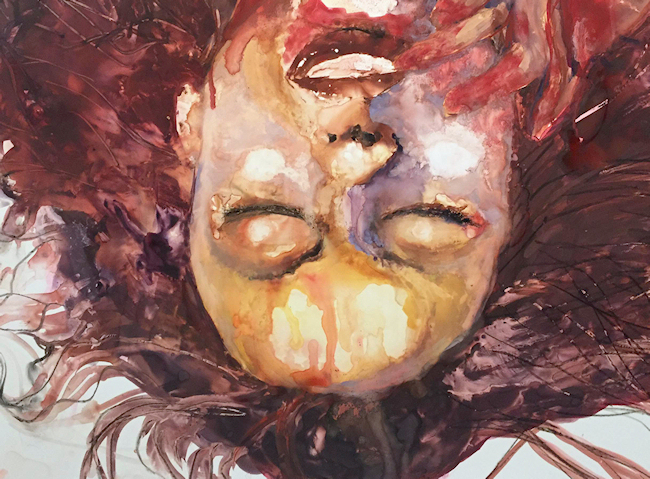 Featuring the work of ten Asian American women and queer artists local to northern California, “Appendix” will explore the artists’ narratives of trauma — physical, mental, emotional and historical — and their efforts to dissect, reclaim, and empower the intergenerational memories of their personal and our collective experience(s). 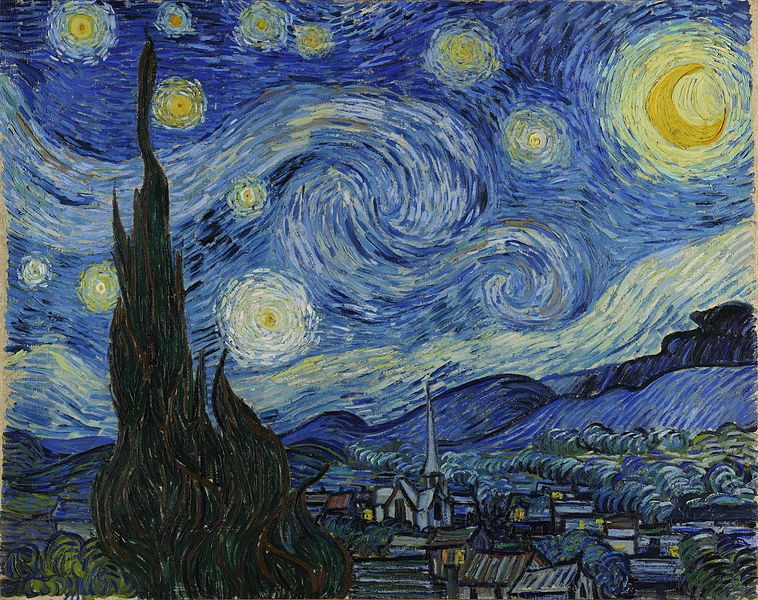 Vincent Van Gogh’s “Starry Night”. Last night, a beautiful blood-red lunar eclipse happened to coincide with the moment in the lunar orbit when the moon is at its closest position relative to the Earth. Such a conflation of astronomic events is relatively rare — the last so-called “supermoon lunar eclipse” occurred in 1982, and the next one is not scheduled to occur again until 2033. Neither is likely to again fall on the eve of the Mid-Autumn Festival. I had spent most of yesterday at work. I was in on a Sunday afternoon to process some samples for a collaborator, and — consistent with the laws of benchwork — the entire experiment took twice as long as originally expected. After having endured hours of shivering in a super-cooled room (because, lasers!) fighting an uncooperative piece of expensive equipment, I returned home late, grouchy, and exhausted. Still, at around 10:30pm, I dragged myself and Snoopy off the couch. I opened the front door and looked up. There, against a backdrop of twinkling stars and glowing in a near-cloudless night sky, was a dark red moon illuminated by just a sliver of sunlight reflecting from an incomplete eclipse. I smiled and let all of the days frustrations and anxieties melt away. Have an #AAPI kid in K-12? Check out the “Growing Up Asian in America” art/essay contest! Do you have or know an Asian American kid aged K-12? The Asian Pacific Fund is running a great art & essay contest just for them! The theme this year is “Food” and 3 winners in either category and each age group can win $1000 + a cool prize package! In addition, kids can also submit a video — winners in that category can get an iPad mini. So check out this link for details and submission guidelines! And then go grab your kid and invite them to get their creative juices flowing! But hurry: application deadline is March 5, 2014. Posted on February 22, 2014 Leave a comment on Have an #AAPI kid in K-12? 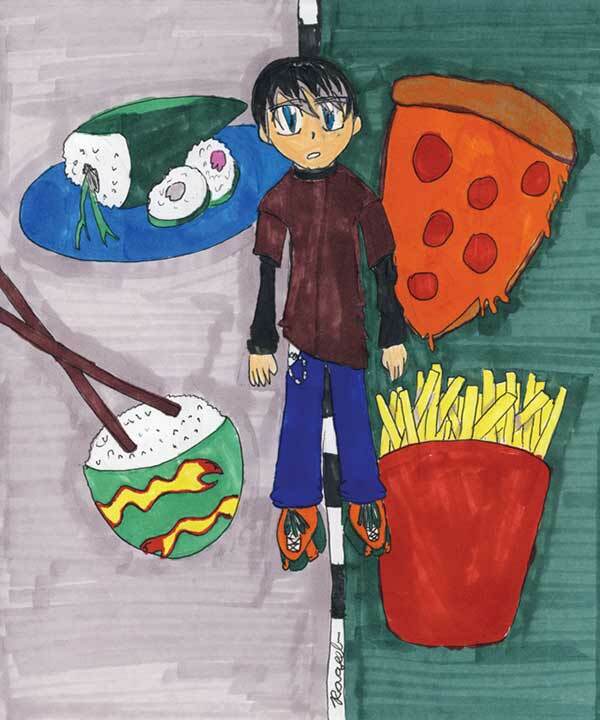 Check out the “Growing Up Asian in America” art/essay contest!